In Tunisia, business is conducted with courtesy and formality and they tend to judge people on appearances. Consequently, it is important to dress and act smartly and conservatively at the same time. The most north country in the African continent, Tunisia has kms of Mediterranean coastline attracting thousands of tourists each year. 98% of the country is Muslim and the official language is Arabic. However, French is also widely spoken. Can foreigners fully own companies in Tunisia? What taxes apply to a Tunisian company? Is there a limit of foreign employees that can be hired by a local company? 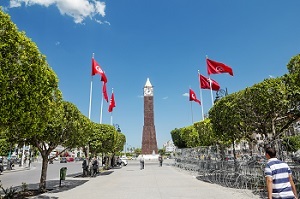 How many directors are required to register a new business in Tunisia? Only 1 director is required for registering a company in Tunisia. How many shareholders are required for Tunisia LLC registration? At least 2 shareholders are mandatory for registration of a Tunisia company. What is the minimum share capital required for Tunisia subsidiary registration? For a limited liability company (SARL), there are no minimum capital requirements. How to register a company in Tunisia? Healy Consultants provides Tunisia business establishment services for our Clients. To register a Tunisia resident company, Healy Consultants will i) search for a company name ii) open a corporate bank account to deposit share capital iii) prepare company M&AA and incorporation forms iv) advertise the incorporation in the Gazette and v) register for social security.